I hope you’re having a lovely week so far and keeping warm. It’s not that cold yet here in Durban but I think it’s coming fast. I don’t mind though, I much prefer the cold to the heat. So now let me show you the ones I do have. This is 2 coats with no topcoat. It has a satin finish which means it dries matte. It is a black with find silver shimmer. When it dries matte the silver shimmer isn’t very obvious, instead it gives it a charcoal grey feel. 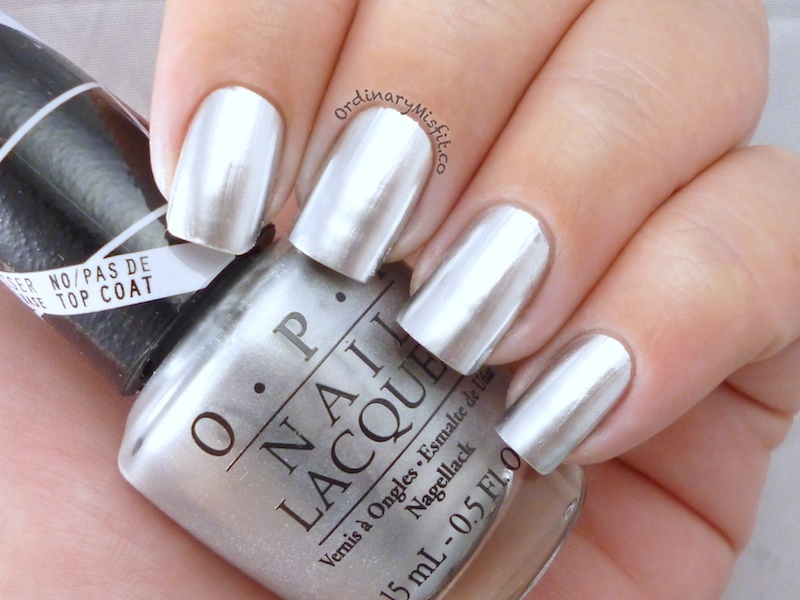 I have seen it with topcoat and the silver is much more prominent. Great formula and applies really well. It also dries quite fast and has nice opacity. Oh my goodness. I like a good gold but have never really had a gold that I have to wear and can’t get enough of. Until L.A.M.B. It is so stunning. This also dries to a satin finish. This is 2 coats with no topcoat. A beautiful matte gold. I LOVE this one. Applies beautifully, dries fast, no streaks or bald spots. Absolutely gorgeous. Before I even start, I have to mention how difficult this one is to photograph to really show the full beauty. Push and Shove comes with a mini bottle of base coat that you need to use with this chrome finish polish. The mini bottle of base coat is called ‘Lay down that base’. I used one coat of the base coat and left it to dry for a minute or 2 and then applied the polish. This is 2 coats with no topcoat. I think it absolutely gorgeous. I will admit that it does show up any flaws you might have on your nails. If you have ridges and usually use a ridge filling base coat, you might consider using the ridge filling base coat first, then ‘Lay down that base’ and then the polish. I have not tried this myself but I can’t imagine why it won’t work. Come to think of it, I should give it a try. Push and shove is a ‘one night only’ polish so don’t expect it to last for very long. It says not top topcoat it. I did topcoat it on another occasion (with nail art) and even though it dulled the chrome instantly, it didn’t take long for the shiny chrome look to come back. So if you HAVE to wear it for longer, that is an option. Here is another photo to try and show the beauty. All in all, I love this collection. I would love to get Hey Baby, In true Stefani fashion and Over and over a-Gwen as well. What do you think? Which one is your favourite? To keep to date with new OPI collections you can check out their Facebook page. I agree Nicola. It’s gorgeous! I need LAMB and Push and SHove! Prettiful Blog recently posted…My blog turns 1 and four giveaways! My word! A Mate gold… I need it!!! So stunning. Isn’t it stunning? I am quite in love with it. It’s so luxurious and stunning. Good pick. It is so stunning and unique. Thanks Faeema. Amazing swatches (as usual). I didn’t know how gorgeous the L.A.M.B was until I saw your swatch. AMAZING! Thanks so much 🙂 L.A.M.B is so stunning.